The festive season is upon us and it represents the perfect opportunity to start your calendar on a clean slate and get back to basics, and focus on the essentials. Spending time with your loved ones, for one, is always time well spent. What better way to mark such an occasion than with a classic timepiece? 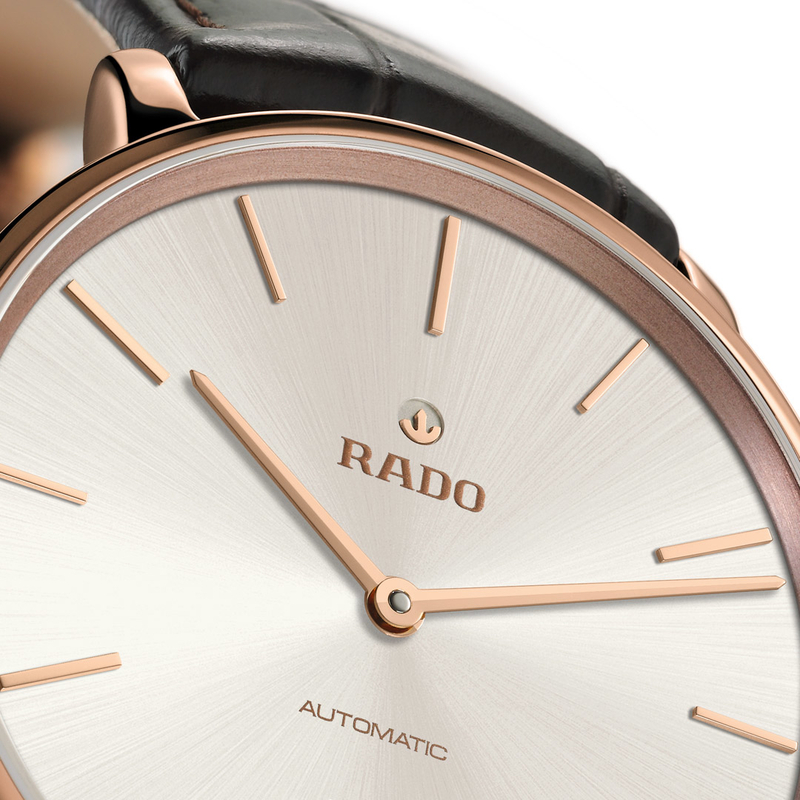 The Rado DiaMaster Automatic in rose gold Ceramos is the gift that keeps on giving. Slim, smooth and embracing Rado’s minimal design aesthetic, it offers pared down good looks with a sophisticated feel in a warm metallic tone perfect for cosy evenings in front of the fire. As the “master of materials”, you know you can expect more from Rado than meets the eye. Ceramos is the Swiss brand’s innovative wonder material that takes the key benefits of high-tech ceramic and adds a dash of metal for a unique look and feel. Just as friends and family come together for a perfect festive moment, Rado’s Ceramos brings ceramic (90%) and metal (10%) together for a perfect material. Super hard and with a unique rose gold coloured shine, Ceramos gives the DiaMaster its warm feel. Just like Rado’s high-tech ceramic, it adapts quickly to skin temperature so it won’t feel cold – even when the frost forms outside and the rooftops are white. The DiaMaster is the perfect collection to showcase Ceramos as its understated style lets the material shine. The unique, sumptuous metallic look in a ceramic piece takes a long time to achieve, with the refining and polishing of a Ceramos piece taking up to 10 times as long as for a high-tech ceramic piece. But it’s worth the wait. With a glow that will never fade and a shine that won’t dull with time, the DiaMaster Ceramos Automatic is guaranteed to give you that warm festive feeling long after the moment has passed. Measuring 41mm in diameter, the watch is available in a silver-white dial with brown leather strap, as well as a black dial with black leather strap.